Open Edition - Bribie Island on an idyllic spring evening. This painting has a dreamlike quality for me. 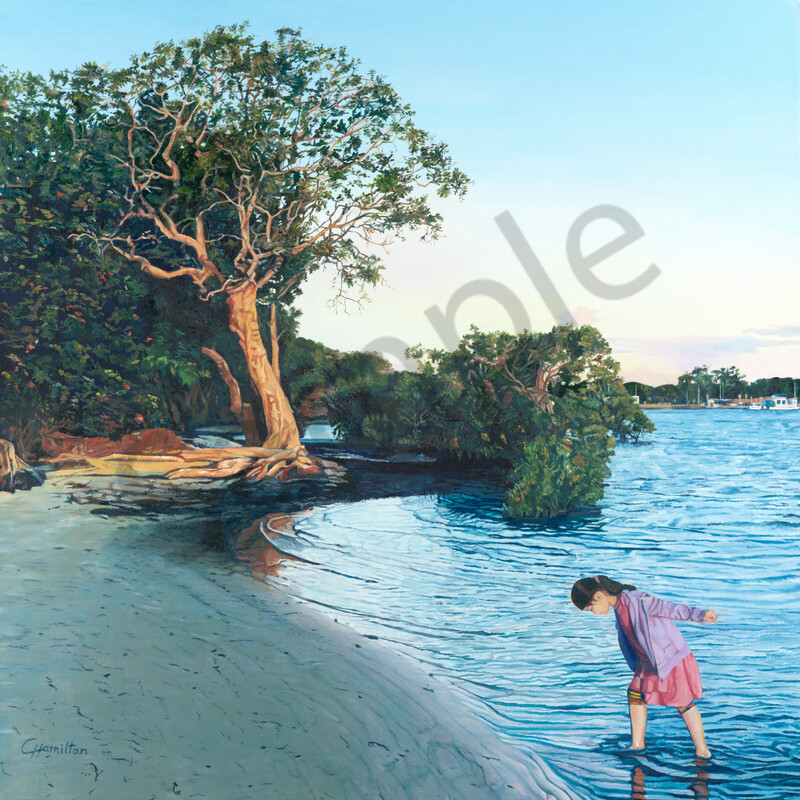 It was painted from photographs that I took of my daughter paddling at the water's edge at Bribie Island on an idyllic spring evening. The water is just turning to silver and in the background a gnarled old gum tree, glows in the last few rays of evening sunlight. This brings back fond memories of childhood holidays, looking for seashells, just before the sun goes down.